First truss the chicken, season it with salt and pepper, and then sear it in a cast iron dutch oven. Once the top and bottom have a nice brown sear, you place the pan in the oven with the top on, making sure the chicken sits breast side down. 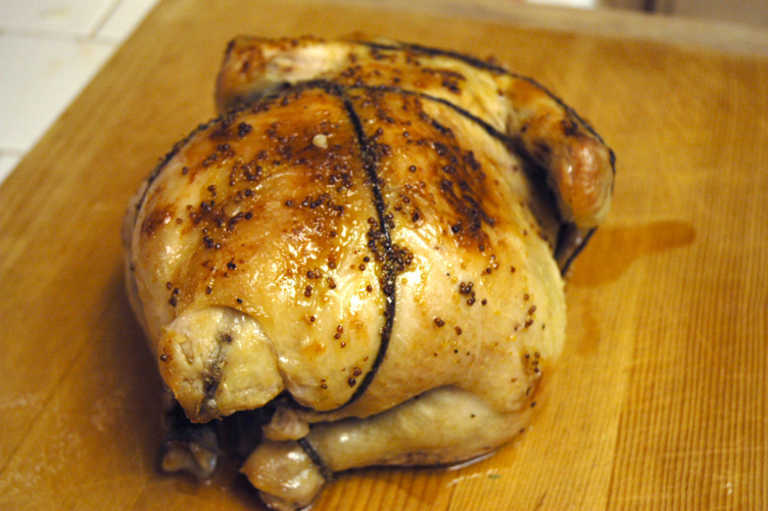 Bake chicken for 90 minutes at 375 degrees. Half way through the roasting, take the top off, flip the chicken and smear the honey-dijon mixture over the chicken and finish baking. It is a fantastic and easy dish to make.